产品简介：NEW and Improved-Now with 40% more power and noise cancelling headphones. Sound Pro II our most powerful unidirectional microphone system. 14" microphone actually is two microphones in one. One high power microphone element faces forward to capture sounds that are "aimed" at. New and Improved-Now with more amp power and noise cancelling headphones. 1.4 Watts of RMS power "homes in" on distant sounds while eliminating unwanted "side" sounds from both the microphone itself and the headphones. The Extended range feature of the Sound Pro II microphone, is acutally two microphones in one. The first microphone in highly directional, the second microphone is omni directional and "cancels" noises coming in from the sides, thereby creating the "extended range" effect. The Sound Pro II features a background noise filter switch and output jack for tape recorder. 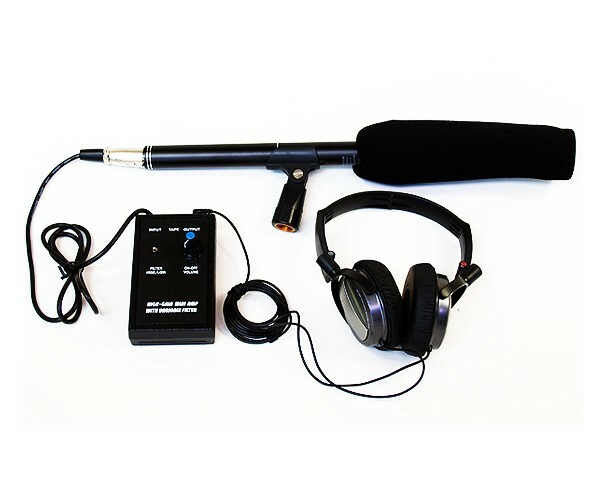 Unit comes complete with microphone handle, camera mount, 1.4 Watt RMS amplifier (+120Db Gain), Noise cancelling headset, "AA" battery for microphone, 9-Volt Battery for amplifier, "AA" battery for headphones, and carry case. 6 month warranty.